Hosteria Patagonia i El Calafate, Argentina: Reservér nu! 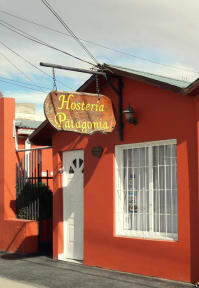 Hosteria Patagonia is run by a young, passionate and experienced team. This charming hotel offers spacious, quiet and well decorated accommodations. We also offer services of laundry, luggage storage, free private parking (subject to availability). During your stay at Hosteria Patagonia, you can inquire at the tour desk about the impressive Perito Moreno glacier, excursions to Lago Argentino, kayaking, 4x4 excursion, horseback riding trips in the region and more. 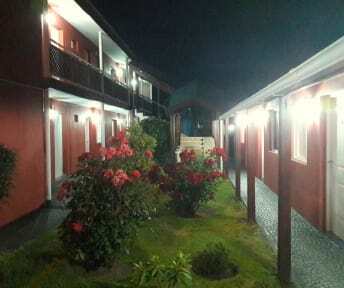 It is located at the heart of El Calafate, a 3min walk from the main avenue where shops, restaurants and bars abound. All rooms feature private en suite bathrooms, free WiFi access, heating 24/7 hot, shower with good water pressure. You’ll also love the garden, where you’ll be able to relax. Breakfast is served daily and includes boiled eggs, bread (with butter, jam or dulce de leche), cake, cereals (with milk), hot drinks. Payment upon arrival by cash, credit cards, debit cards. This property may pre-authorise your card.